WCI Electric has noticed that businesses tend to use up a lot of energy, but they don’t consume energy in an evenly distributed fashion. For instance, a restaurant may have some lights on in the dining area, but most of the electricity is going to the kitchen: the refrigerator, stove and other devices needed for cooking. Sometimes, an appliance uses so much energy that plugging anything else in might cause a blown fuse. Such appliances may need dedicated circuits. Dedicated circuits are circuits that are intended for a single use with their own circuit breaker, and the National Electric Code requires them. Electricians sometimes make dedicated circuits by wiring an appliance into a circuit, and sometimes they make them by wiring a receptacle so that you can plug it into an appliance. WCI Electric makes a point of discerning which situation is called for, and we have lots of experience in doing both sorts of circuits. And you need experience in order to install dedicated circuits. Each circuit installed is rated for a certain number of watts, and they are connected to ground fault interrupters that are also rated for a certain number of watts. If you plug in an appliance that uses more watts than the outlet can handle, the appliance will simply not work. That’s why WCI Electric trains their electricians to install circuits with the equipment values in mind. WCI Electric installs them properly to help reduce energy consumption in commercial space, and it is important to have skilled professionals installing dedicated circuits takes special attention and care. They need to have the appropriately sized wire and breaker for the appliance in question because a mismatch between the parts can cause an electrical fire. The insulation on the wire can melt and catch fire from the heat of the extra energy. It’s possible that your business needs more dedicated circuits. If you have machinery with motors, each one of those motors need their own circuit. How do you know for certain that you need some dedicated circuits? The circuit breakers keep tripping. That is a good sign that you need to call WCI Electric immediately, before there is a fire. WCI Electric can install the circuits quickly, so you can return to your business. If you suspect that you need some dedicated circuits, contact us to help reduce your businesses energy consumption. WCI Electric prides itself on being the best commercial electricians around. 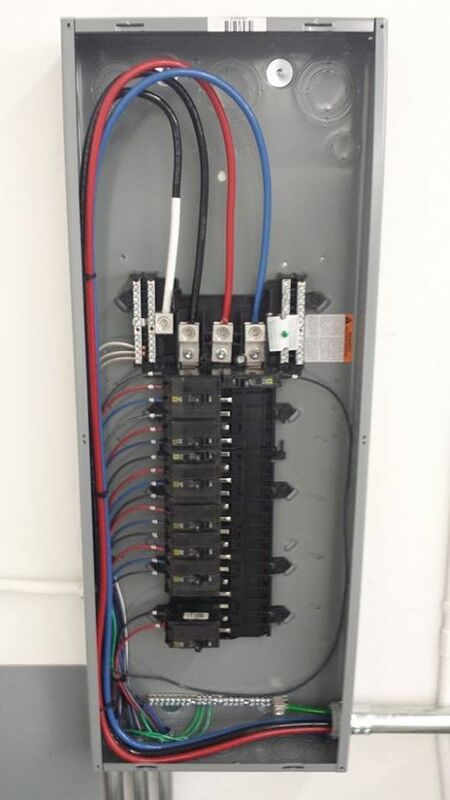 View our photo gallery of electrical work to see how our commercial electrical services stack up.